Just In, from award winning food purveyor Le Bon Magot aka ‘the hidden treasure’ comes this superb jar of Lemon-Sultana Marmalata with Caraway & Saffron. I could not wait to bring a jar from the shop home and give it a go. 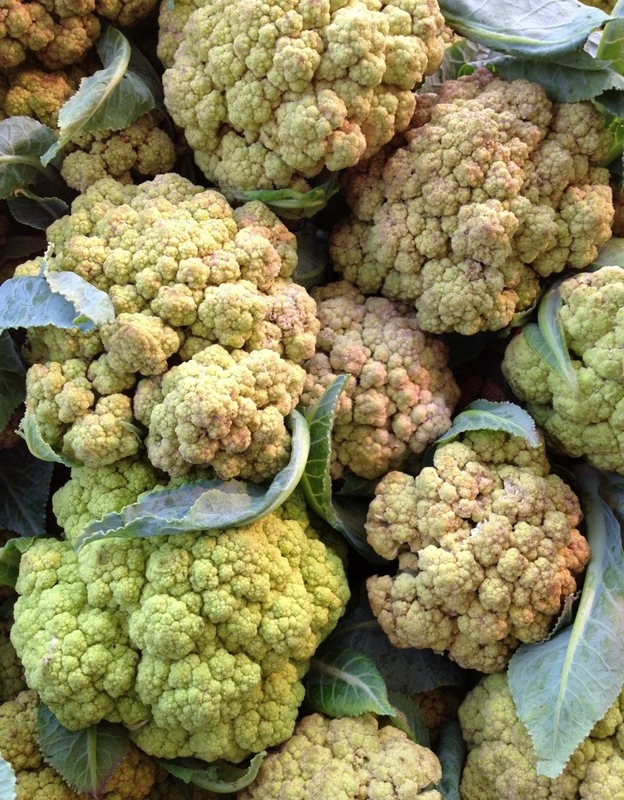 We are huge cauliflower fans in the Watson Sive household, having it in some form almost every week. Last night I cut 2 large ‘steaks’ out of the center of the head of cauliflower, keeping the core intact so the florets remained together. I then added a heaping dollop of the goodness from the jar to the top of the cauliflower steak and spread it around a bit. Then added a healthy drizzle of extra virgin olive oil and put it into a hot 400 degree oven. The mixture caramelized a bit right along with the veg, creating one seriously tasty addition nestled up to a piece of sole atop a mound of jasmine rice. The mixture would also be quite lovely straight out of the jar with a piece of cheese. 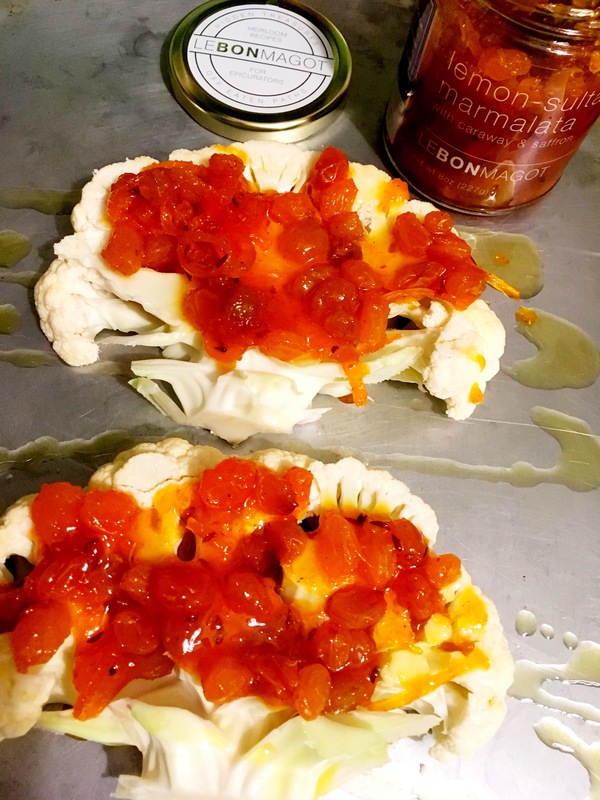 The caraway and saffron giving this marmalata serious depth of flavor to whatever you end up serving it with. Often a satisfying meal can be pulled together from many things already had in your pantry and/or fridge. Such was the case with this lunch at WestWard yesterday. We had our friend Adrienne coming over and we knew we just wanted to sit and chat with the fire going, so I wanted to make something in a bowl that we could easily eat while sitting on the sofa talking away. We had a box of orzo pasta, green olives and a head of cauliflower. TPS made a quick run for a few other things, and lunch was in the works. Put on a large pot of water to boil, add a tablespoon of salt once it begins to boil. Pre-heat oven to 400 while you begin prepping things. He picked up two chicken breasts with the skin on and the bone in. Skinless, boneless chicken breasts would work great for this too. On a sheet pan add the chicken breasts and coat liberally with extra virgin olive oil, salt & pepper. Get into that hot oven. Check the internal temp of the meat with a meat thermometer at 45 minutes. You want it to be 160. While that is cooking away put an entire box of orzo in the boiling water and cook to the time instructions on the box. Once done, drain, put in a large bowl, salt the pasta, add pepper, give a good glug of olive oil, and add the juice of one lemon, stir. Break up half the feta into the orzo while the pasta is still warm. Stir again. Then let sit while everything else cooks away. This is a room temp meal, so no need to worry. While the chicken cooks away, cut up a whole head of cauliflower. Break up the florets so they are quite small. Think less than bite sized. Add all to another sheet pan, add a good amount of olive oil, salt & pepper. Mix all around until coated. Then cut up a handful of pitted green olives, adding that to the mix. To that add a generous spoonful of capers. Mix all around and add to the hot oven where the chicken is cooking away. Stir several times in the cooking process. Take out when the cauliflower has started to brown a bit. Add the entire contents, oil and all to the bowl of orzo and feta. 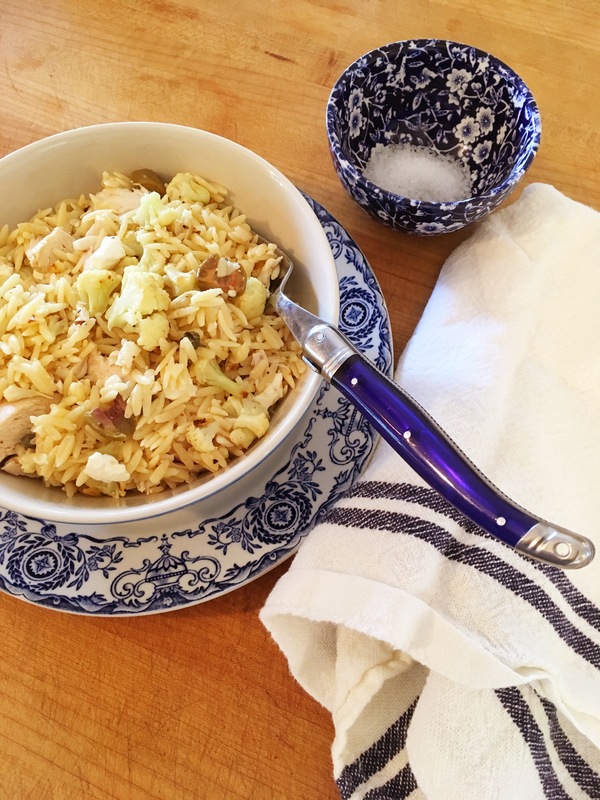 All the extra olive oil from this and the chicken help coat the orzo, add a ton of flavor, and create a bit of a sauce when melded with the lemon juice. Almost there! When the chicken is done, take out of the oven, cover with aluminum foil and let it sit for 10 minutes to rest. Once ready, either cut up or pull the meat from the bone and add all to the excitedly awaiting bowl of orzo/feta/cauliflower/green olives/caper goodness. I took the skin off and did not add to the mixture, but by all means, do if you would like. Any juices that have formed on the pan with the chicken for sure add to the pasta. We want every bit of flavor. Mix up everything now that the chicken has been added. Now add the other half of the feta and another bit of pepper. Stir. Lastly, add the juice of another lemon. Stir. Take a taste. Add one final bit of salt if you think it is needed. Lunch is served. We are close to the finish line of our retail marathon. Being well rested and eating well is key. A home cooked meal is even more of a treat during this busy time. We will spend next week out on the island so trying to clean out the fridge is also on the ‘to-do’ list. This is really all just stuff we had, which I cooked up and served alongside chicken and roasted potatoes, that all cooked in the oven at the same time. Really the simplest of things to make, but packed with flavor. Oven to 400 to heat up while you cut up the cauliflower head. Add that to a baking sheet. Then cut up a whole onion. Add that. Then a handful of capers to the mix. Next smash a few garlic cloves and add that. The magic happens when you add the salt-preserved Meyer lemons. We always keep a jar going. Add extra virgin olive oil to the lot, along with a hearty bit of pepper and salt. Mix everything together. Roast in the hot oven checking every 10 minutes while moving everything around so all cooks evenly and does not burn. Done is when the cauliflower gets a bit of nice golden color on parts. Be ready to be happy. Enjoy! 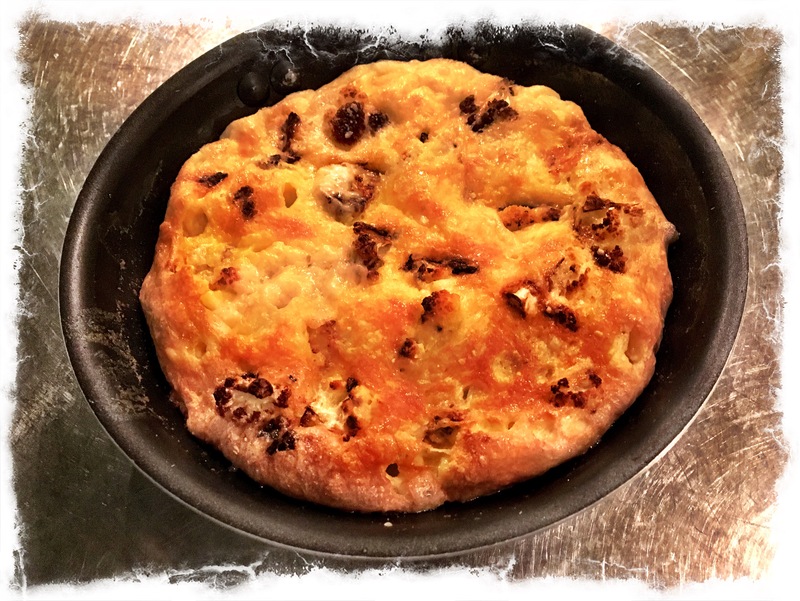 This is a recipe adapted from one I saw the other day by the English chef, Jamie Oliver. I follow him on Instagram–the fellow quite prolific in his recipes & concoctions. 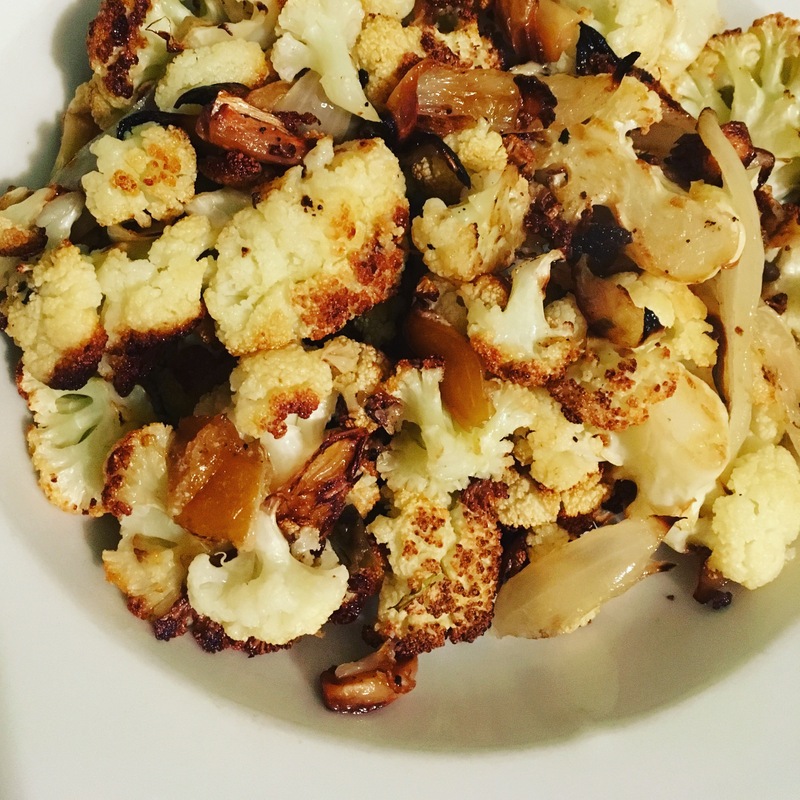 Herbs and spices play a large part of his cookery, and this whole roasted cauliflower surely does. I like to follow a recipe but change it up a bit if it calls for something we don’t have, or if it has an ingredient we don’t particularly care for, or if the recipe seems overly long. This is my take on his recipe. The same is true if you give this a try, change it up a bit if you see fit. I served it with an herbed chèvre stuffed chicken breast and basmati rice. The rice helping to sop up the tomato juices. OK, here we go. Preheat oven to 350 degrees. I know, not 400, I surprised myself! Use a good sized, good looking whole cauliflower. Take off all the leaves. Cut the bottom of the cauliflower a bit so it lays flat in the pan and does not fall over. This will also help with even cooking. Set aside. Take 4 gloves of garlic and mince them as finely as you can. Once done, take the back of your knife and press down on the mound of garlic. Try to create a bit of a paste from it. Put all of that in a bowl. To that add a teaspoon of smoked paprika. Next take 5 or so stems of thyme and take off the leaves. Chop those up and add to the bowl. Add pinches of salt and pepper. Then drizzle in enough extra virgin olive oil to bind the mixture together, creating a lovely paste or rub. Set bowl aside. Take one can of plum whole tomatoes and put in a pot that can go into the oven that has a lid. These along with the juices in that can will create a bed for the cauliflower to sit. Put the waiting cauliflower in the pot, making sure it is sitting flat, so you might need to move a tomato or two. Then massage all that lovely rub you created over the cauliflower. Some with fall into the tomatoes, which is totally fine. 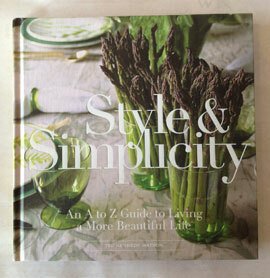 Stand back and look how pretty that whole thing is. Then wash your hands. Almost there. Now cut a lemon in half and squeeze the juice out of it over the cauliflower, being careful not to add any lemon seeds to the mixture. Now add a splash or two of dry vermouth or white wine over the cauliflower. The lemon and vermouth and tomato juices will marry and create a yummy steam bath for the cauliflower as well as create a sauce that is stellar with your rice. Put a lid on the whole lot and put into your hot oven for an hour. At the hour mark, take the lid off and cook for another 20 minutes. When done, you will have a beautiful whole head of cauliflower that is infused with glorious flavor. Slice up and nestle that next to whatever you are serving it with and spoon the tomatoes and sauce over rice. Your home will smell heavenly. In addition to those amazing dinner plate dahlias, I also found some stellar looking cauliflower at the Market on Saturday. A small little variety perfect for grilling whole. If you are not a griller, roasting in the oven would be swell too. The idea here is to leave the veg intact, so the presentation when it is served, you still are seeing the whole head of cauliflower, not bits & pieces. Whether grilled or roasted, just slather them with extra virgin olive oil and salt to help them get nice and caramelized. Think of it like sun tan lotion for the cauliflower. Turn often so the heads cook evenly. Either take the leaves off before cooking or leave them on for an earthy presentation. 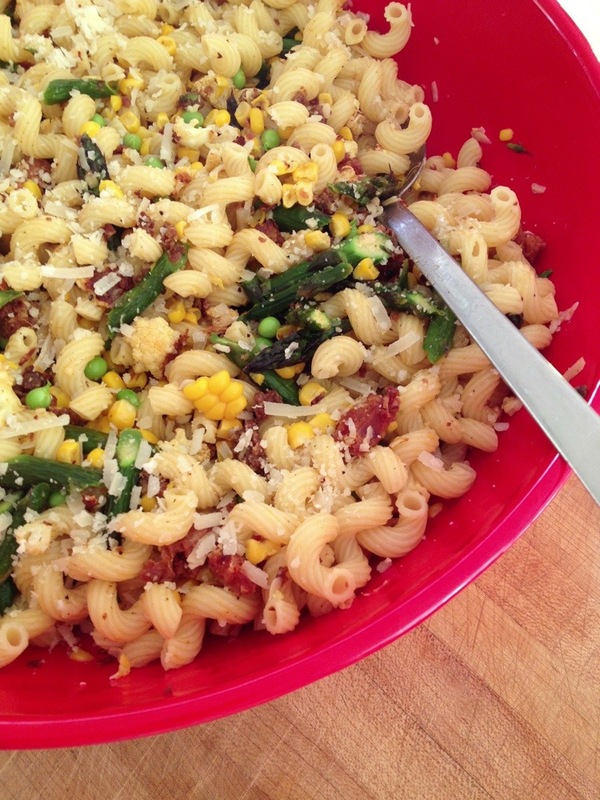 Nestle them up next to a piece of meat or pasta. Or both. TPS grilled marinated flank steak and also made a pesto pasta from all the fab basil available right now. 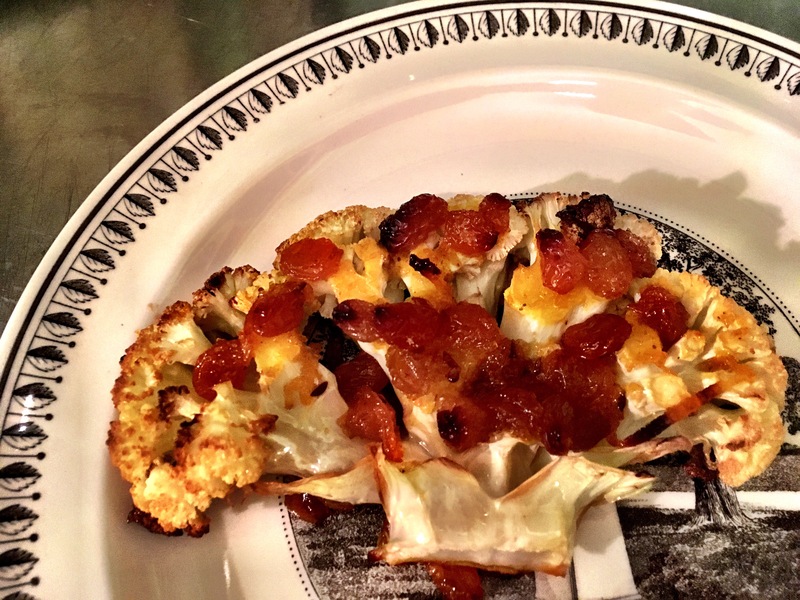 The cauliflower getting a bit charred from the grill making a heavenly trio. Whatever you end up serving it with, I think you will love them. Cheers to late August produce! One plate/bowl meals on a lazy Sunday evening can be easy and super satisfying. Such was the case last night. We had guests to dinner on Friday eve, busy work days for us both on Saturday, and no island guests this week-end, so we came out to WestWard Sunday morning–hence the desire for a casual dinner. A super chill day ended with supper out on the deck sitting in the Adirondack chairs with a glass of wine watching the boats sail by. Spending a ton of time cooking was just not in the cards. That is where scallops come in. They cook nice and quickly. They have a ‘specialness’ quality to even a simple meal. But they can also get dressed up for company. Here is the tasty one plate meal I whipped up in no time. Oven set to 400. Of course. 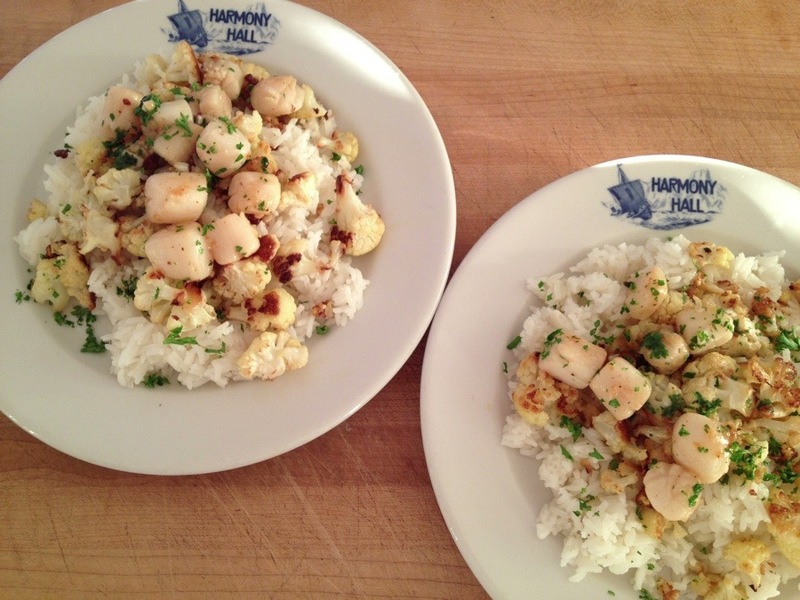 Take out scallops and pat them dry with a paper towel and salt and pepper them quite liberally. I found small scallops at the grocer, but any size will do. Set them aside while you get things ready and this will take the chill off of them. Next cut up a head of cauliflower. Break up the florets (I know they are called florets for broccoli, assuming the same for cauliflower?) to quite small pieces onto a baking sheet. The smaller the better. I especially like all the little bits that break off. Use them all. The smaller pieces get even more caramelized. Drizzle with olive oil and salt. Mix around. Put into now hot oven. While these cook away, make a pot of rice. Any rice you like. We love jasmine rice, so that is what I made. But basmati, wild or brown would be excellent too. Things are now humming along. 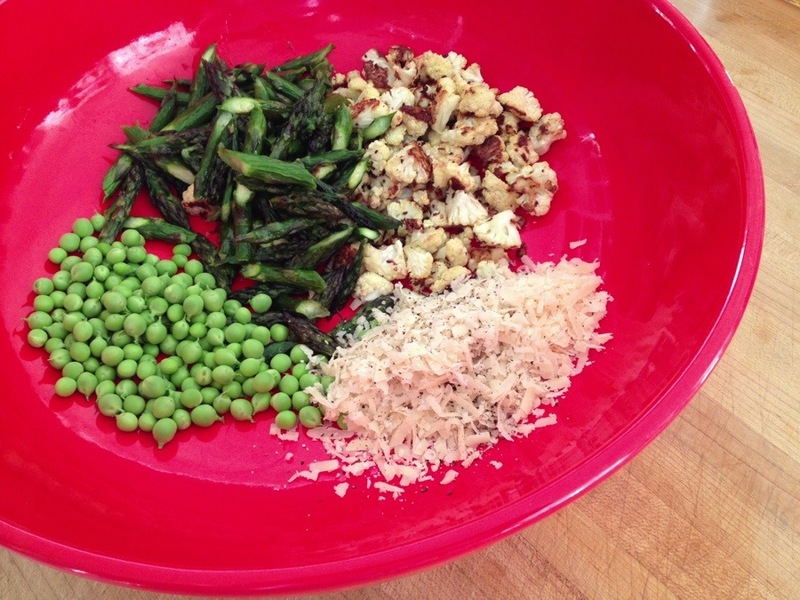 Shake the pan of cauliflower. Now finely chop up 2 cloves of garlic and a good amount of parsley. Check the cauliflower again. You want the pieces nice and caramelized. If done, take out and take off of baking sheet to help stop the cooking process. Set on a plate but do not cover. This will steam the cauliflower and you don’t want that as it will get them soggy. I know, I have made this mistake before. 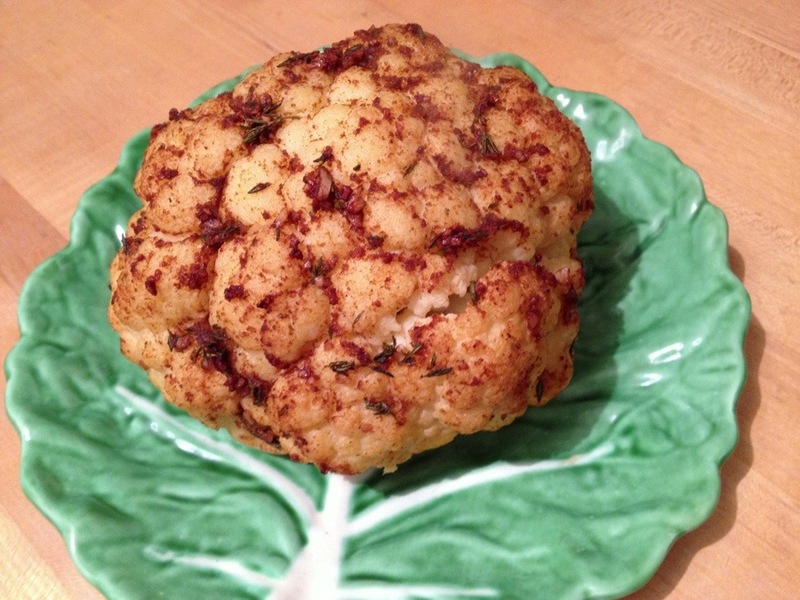 The cauliflower does not need to be hot when you serve it, so it is fine just sitting at the ready. Have a sip of wine. Check the rice. Now you are ready to cook the scallops. Put a knob of butter in a sauté pan and let melt on medium high heat. Add that finely minced garlic you so carefully chopped up. Cook for about 30 seconds and then add the scallops. They will cook quite quickly. 3 to 4 minutes max. Move them around as they cook. If they are larger, they will take a bit longer. Once done take off the heat, add some of the chopped parsley and squeeze a lemon over all. The lemon juice will mix with the butter and garlic and parsley and help make a nice little sauce. On the plate, add a big spoonful of rice. Next a smattering of the cauliflower and then top all that with the scallops. Lastly, a dusting of more parsley. So easy, one plate, and you are off to eat. 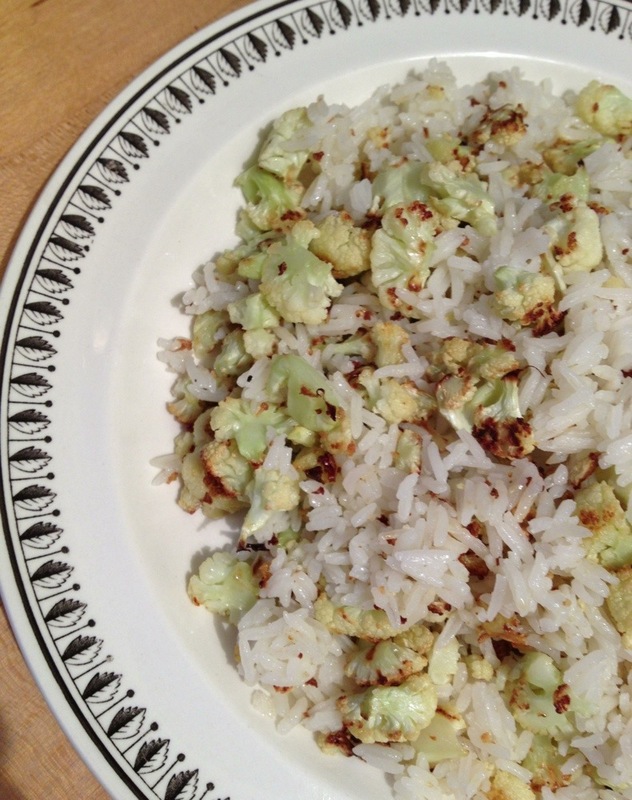 Spiff up plain rice by adding roasted cauliflower. 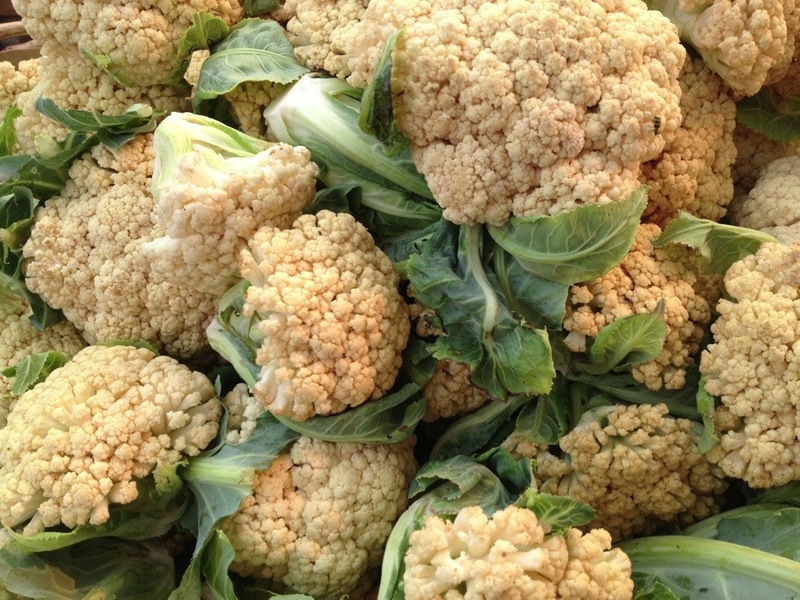 Cut up cauliflower quite small, toss with EVOO, salt & pepper. Put on baking sheet and place under a broiler keeping a serious eye on and moving around often until the bits get golden and cooked through. Then add to a bowl of just cooked rice. Toss all together combining the two.